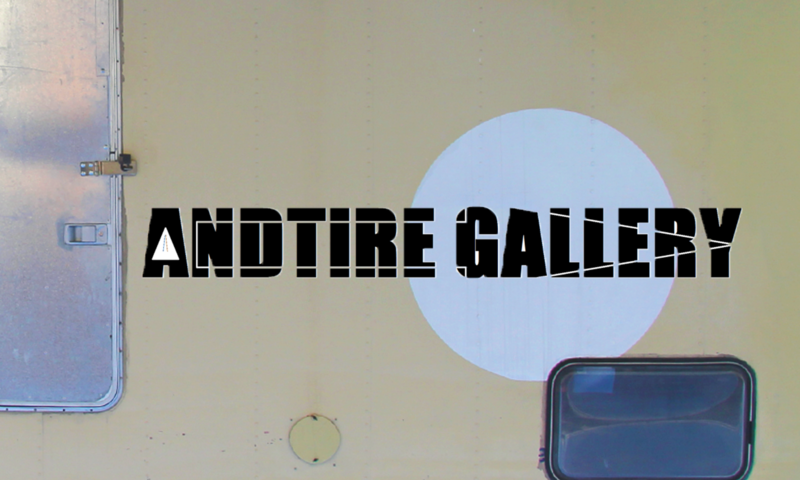 Das Projekt „And-tire Galery“ – mobiler Ausstellungslkw soll vom 01.05.2017- 01.05.2018 ein mobiler Ort sein, in dem zeitgenössische Kunst präsentiert wird. Hierbei soll der Schwerpunkt auf dem Ausstellen von bisher nicht bekannten Positionen aller Spielarten der bildenden Kunst liegen. Auf der Basis eines Mercedes Benz Lastkraftwagens, Model 608 aus dem Jahr 1976 soll ein mobiler Galerieraum entstehen in dem junge Künstler ihre Arbeiten zeigen können. Das Fahrzeug soll angemeldet und speziell versichert sein. Durch den mobilen Charackter dieses Ausstellungsraumes sollen nicht nur kulturelle Ergänzungen bereits bestehender wiederkehrender Veranstaltungen im Stadtgebiet von Bremen (z.B. Breminale, Kunstfrühling, lange Nacht der Museen) Bestandteil des Konzeptes sein, sondern auch eigene Formate zum Ausstellen von zeitgenössischer Kunst unterwegs erarbeitet werden. Einerseits wird es dadurch möglich sein, das nach vorheriger Absprache bestehende Kunstorte und Ausstellungshäuser zusätzliche Ausstellungsfläche für freie Projekte und junge Positionen anbieten können sollen und andererseits junge Künstler direkt mit der Leitung des sog. ANDTIRE Galerieraumes aufnehmen können, um dann an noch festzulegenden Orten zu noch fest zu legenden Zeiten ihre Positionen in einem ungewöhnlichen Raum zu präsentieren. Heini Aho (FIN) and Sebastian Ziegler (GER) are artist living and working mainly in Turku, Finland. The exhibition in Andtire Gallery presents some examples of their recent works. Aho and Ziegler are both members of the international art collective Videokaffe. The video Playing with the Dragon portrays a play with fire. 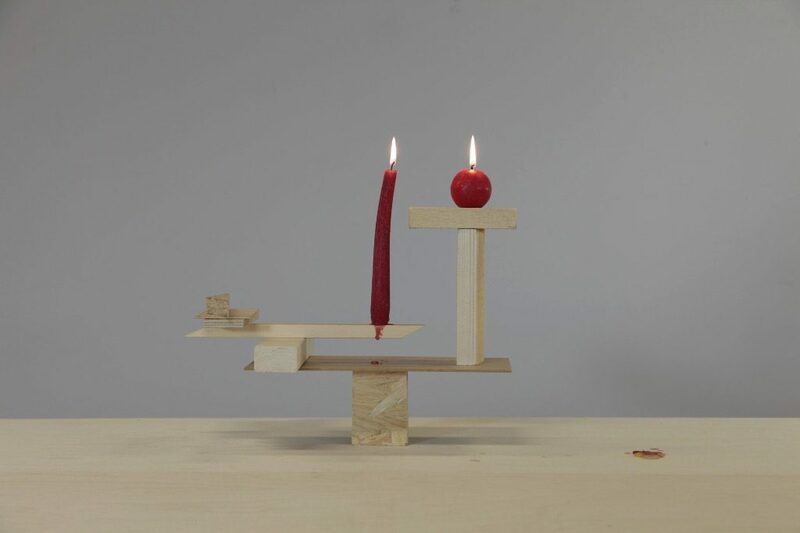 A person builds unstable assemblages under burning candles. The illusion of safety or remoteness of danger may alienate one from life. Avoiding danger begins to define the course of the day and what we do in life. Skeletonized espresso machine fountain is a dismantled fully Functioning espresso machine. It is an adventure to open an intact body to have a glimpse into its structure. Heini Aho (born 1979) combines elements of sculpture, installation and the moving image into works addressing issues of space and perceptions of the environment. She graduated from the Finnish Academy of Fine Arts in 2015, and the Turku Academy of Arts in 2003. In recent years, her work has been on show in solo exhibitions, such as The Square Elephant in Galerie Anhava in Helsinki, The Primary Force Behind an Everyday Experience at the Titanik Galley in Turku, Playing with the Dragon at Forum Box in Helsinki and More Black at the Small Projects Gallery in Tromsö, Norway. She has also participated in many group exhibitions, including Fin Between at the Arena 1 Gallery in Santa Monica in Los Angeles, meta/data/morphosis at the Or Gallery in Berlin and The Hunters Group: Heart Side Up at Kunsthalle Helsinki. In 2016, Aho was awarded the main prize of the William Thuring Foundation. Her works are included in the collections of the Kiasma Museum of Contemporary Art and the Saastamoinen Foundation, the State Art Collections and a private collection in Belgium, among others. Heini Aho is a member of the international Videokaffe artist collective. Sebastian Ziegler (born 1978) graduated from the University of the Arts Bremen in 2006. 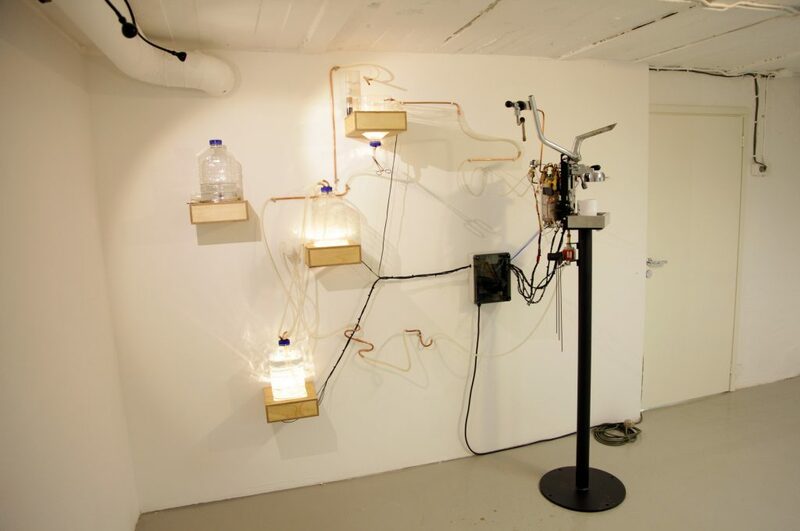 Since then he has worked mainly with video and interactive sculptures. His interest lays in collaboration between science and art. His personal works explore the everyday magic that surrounds us, as in the simple and common wonders of physics and nature in general. He is currently living and working in Finland and is part of BBK- Bremen, Arte ry, Muu ry and is the founder of the new media art collective ”videokaffe”.